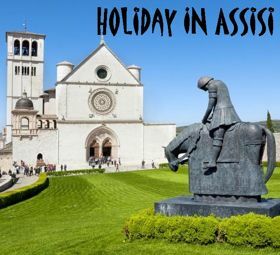 Easter at Assisi is certainly one of the best times of the year. The city of Saint Francis, world synonymous of spirituality and ancient traditions, lives the resurrection of Christ with participation and intensity. 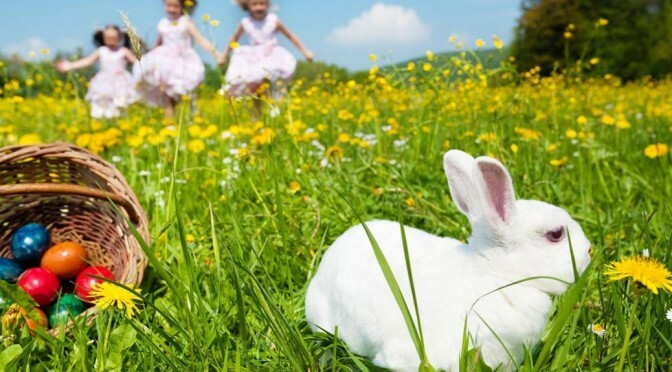 In addition it’s spring and the Subasio becomes covered with colorful flowers; shops, museums, hotels, restaurants, everything in the town is reborn more beautiful than before. 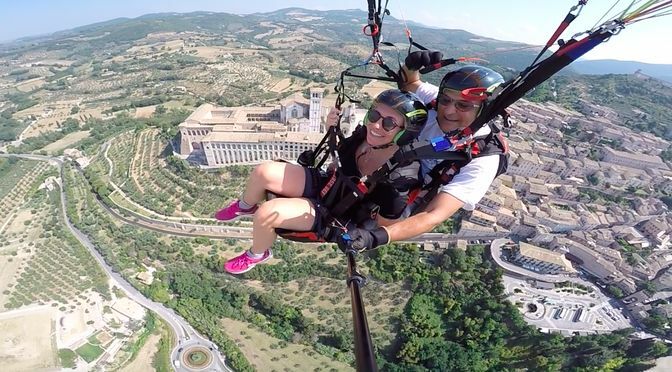 Subasio overlooks the town of Assisi and the valley of the central Umbria, it is a fantastic place to practice paragliding and hang gliding, and it is common to see the experts fly over the Seraphic Civitas. You observe them and think how exciting it would be stay up there with them! 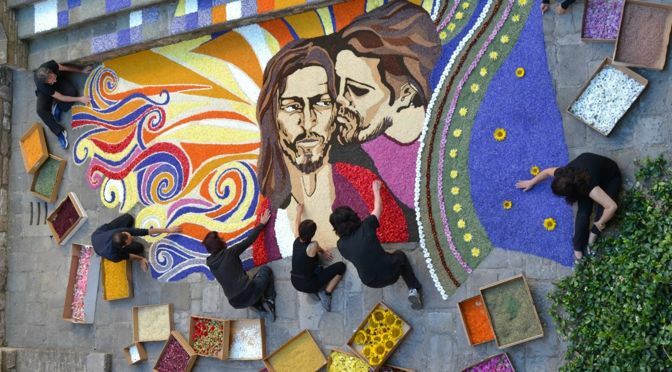 In the town of Spello, the christian tradition of covering the streets with flowers on the day of Corpus Christi, takes place from decades with devotion, originality and high artistic level, to make the Infiorate of Spello a unique and internationally known event. The Infioratori of Spello working full months for the realization of these creations that will last just a few hours. Beautiful and ephemeral, the Infiorate, completed the early morning of Sunday, dissolves themselves after the passage of the religious procession. 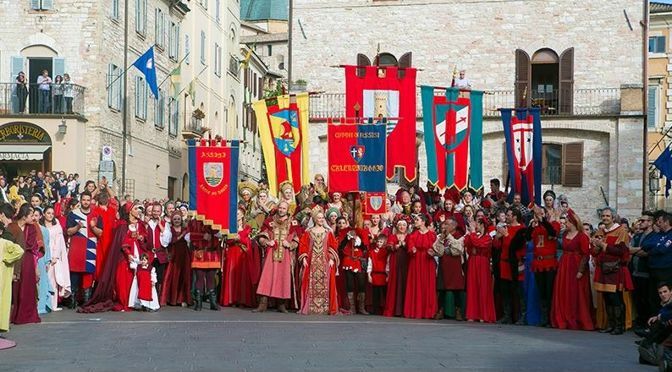 On 15 May each year, decked with banners and colorful tapestries, Gubbio celebrates its Patron, Saint Ubaldo, with one of the oldest folklore events in Italy: the Race of the Candles. The relevance of this festival is proven by the official coat of arms of the Umbria region. In it, there are represented the three stylized Gubbio Ceri. Mount Subasio is a paradise for lovers of trekking; there are many excursion opportunities for experts and amateurs. 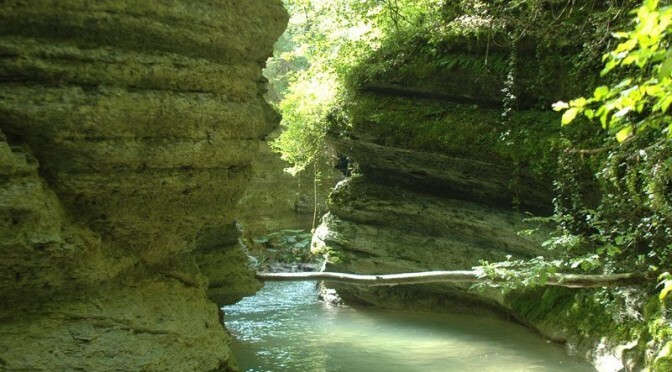 One of the most characteristic is, without doubt, the one that goes up the Marchetto Canyon to discover the spectacular gorges carved by the river. Middle Ages is the temporal container of the Calendimaggio, the feast that involves Assisi every year the first week of May. – Rivalry between Nepis (Guelph) and Fiumi (Ghibellines), the two factions vying for power in Assisi between the fourteenth and sixteenth centuries. 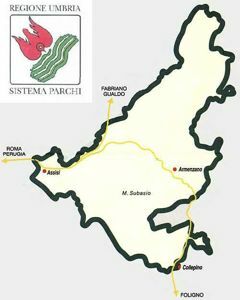 The Italian agrifood has Umbria as a region of excellence. A deep agricultural tradition, a respect for the territory, the quality of products and the delicious cuisine make known our region in the world. 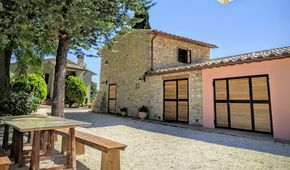 In this context, Open Cellars, the event proposed by the Wine Tourism Movement, has in Umbria one of its flagships. 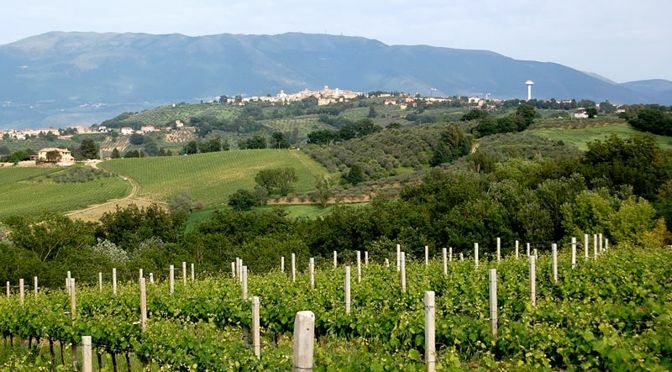 In the Assisiate territory around the Subasio, the culture of the vine has an importance comparable to the olive; local producers have received prestigious awards with quality labels such as “Villa Fidelia” Red. 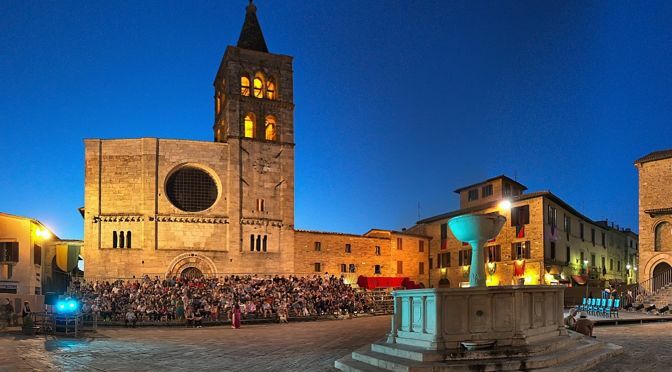 In late June, the tourists who choose to spend a holiday in Assisi and Subasio Park have as a destination unmissable the Gaite Market of Bevagna. 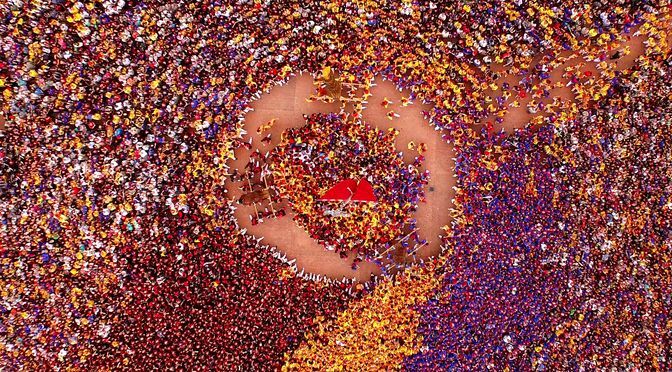 The medieval village, a short distance from Assisi, is most famous for this event that involves the entire city for ten days. With careful examination of the ancient Statute of the Commune of Bevagna (Mevania), it comes to life a historical reconstruction with unique characteristics.